Software and Internet giants Microsoft and Google are understood to have expressed “extreme interest” in the UK development of a potentially national wifi style wireless broadband network using the unused White Space (IEEE 802.22) radio spectrum that exists between Digital TV (DTV) channels. White Space is a dynamic technology that typically operates between the Ultra High Frequency (UHF) DTV bands of 470MHz to 790MHz and does so by harnessing the small slices of spare spectrum that exist between TV channels, which is normally used to limit interference. The low frequency spectrum is particularly useful because it travels further and more easily through walls. Over the past year Microsoft, BT, BBC, BSkyB (Sky Broadband), Nokia, Neul, Spectrum Bridge, TTP, Cambridge Consultants and Samsung have all been developing and conducting live trials of the service in parts of Cambridge (England), Cornwall and the Isle of Bute. Most of the trials have been designed to provide a long range wifi style connectivity solution for bringing faster wireless broadband services into isolated rural areas, although telecoms analysts have suggested to The Telegraph that Google and Microsoft might well have a very different plan. One purported idea was to use the solution as a means of delivering a widely available FREE Wi-Fi service to their respective Smartphone devices. The idea of offering a truly free WiFi service via White Space technology sounds economically unviable and is likely to ring alarm bells in the ears of major national WiFi operators like Sky Broadband (The Cloud), Virgin Media, O2 and BT. But then Smartphones are big business and a small subsidy could make all the difference in the battle against Apple. The service itself is also complicated to deliver, requiring an online database to be updated with any frequency allocation changes. Digital terrestrial TV channels change around all the time and so a live database is the only way to keep everything up-to-date. Ofcom must also complete a Draft Statutory Instrument for making white space devices licence exempt, which has yet to happen but could still result in the first commercial services arriving in 2013. At the same time Microsoft and Google aren’t the only game in town, with BT arguably showing a similarly strong interest in using the technology to help connect rural areas that can’t be reached via traditional fixed line broadband methods. But White Space tech can’t yet deliver the superfast broadband (30Mbps+) speeds required by the EU for 2020 (see BT’s Q1-2012 test results), which could make it unattractive as a long term solution. Why do “Digital terrestrial TV channels change around all the time”, surely now that Digital switchover is complete the channels should be static? 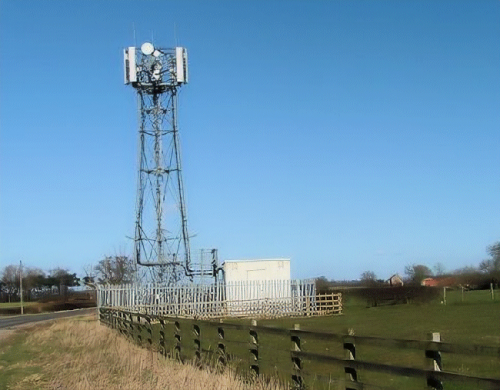 Spectrum allocations, power settings and related mast setups seem to vary across the UK and channels tend to come and go every few months. The line-up of Digital TV channels are a lot more dynamic than the old five channels of analogue services. If anyone pull off a working product like this its google, back around 2005 if memory serves me right in some valleys out in california they did a trial product along the lines of this.